Spring may be here but it’s still cold outside. 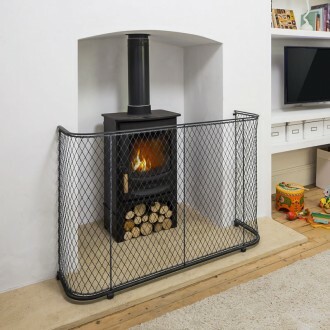 Why not invest in a fireguard for your woodburning stove to keep children and pets safe? Our standard range has four fireguard sizes, but we can also make to measure fireguards for your stove or fireplace. Get in touch now before the season ends – call us on 01225 851577 for a quotation.